Witness the loving story of the literary classic Pride & Prejudice. 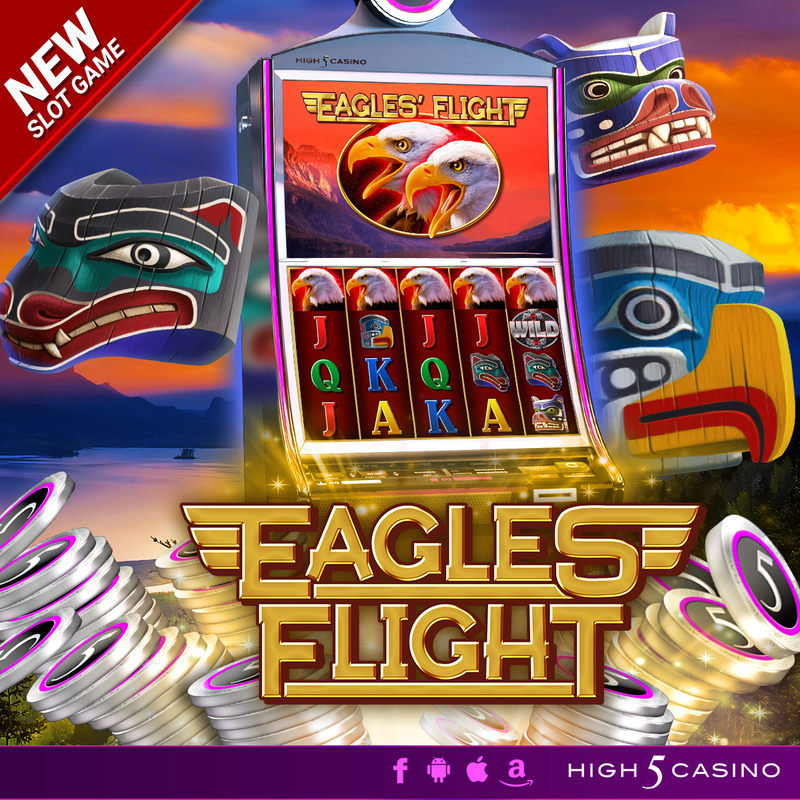 High 5 Casino’s 199th game arrives soon! Imagine living in a time where life revolves around social status, property, and money. Such is the time period in Pride & Prejudice. 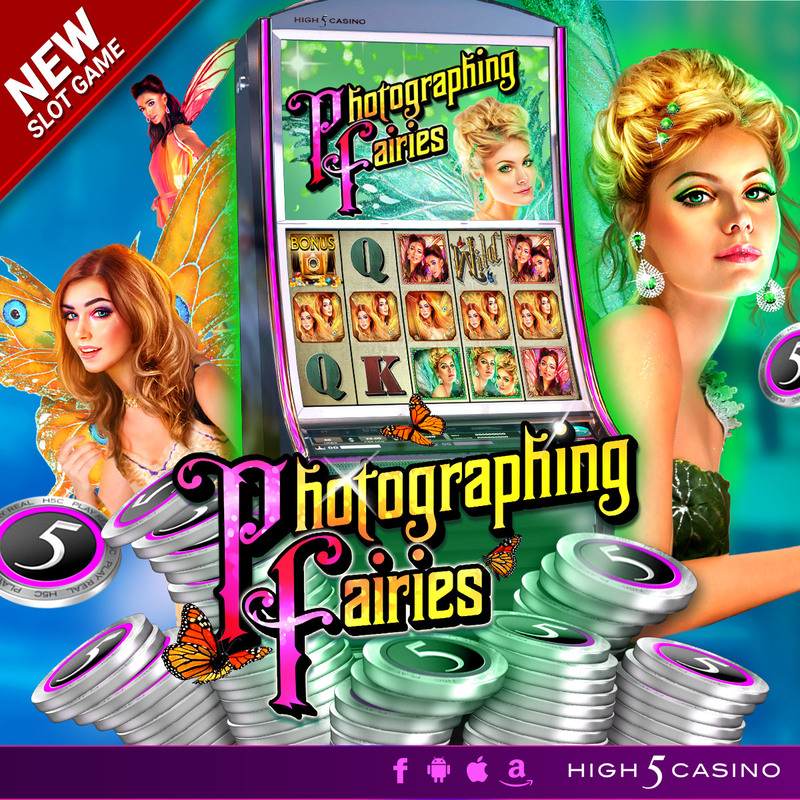 Relive the love stories of the Bennet sisters in this slot game. Would you rather be the witty young Elizabeth or the beautiful enchanting Jane? Don’t forget the gallant gentlemen Mr. Darcy and Mr. Bingley! 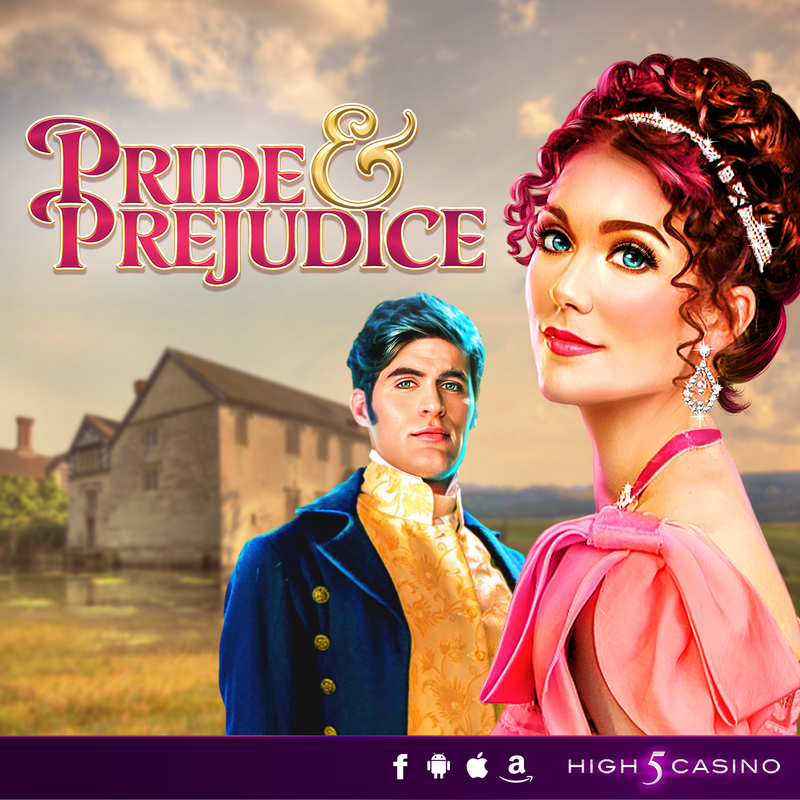 Enjoy classical piano as you spin big wins and enjoy remembering our entertaining protagonist who would rather be an old maid than unhappily wedded. Follow the Bennet sisters’ journey in this literary classic! Pride & Prejudice. Will true love prevail? 4 by 6 reels. 40 paylines. Special Features: Super Symbols and Free Games with Right to Left Pays. Are you ready to follow the Bennet Sister’s journey in this literary classic? Comment in the conversation bubble located on the top right corner of your screen and let us know! 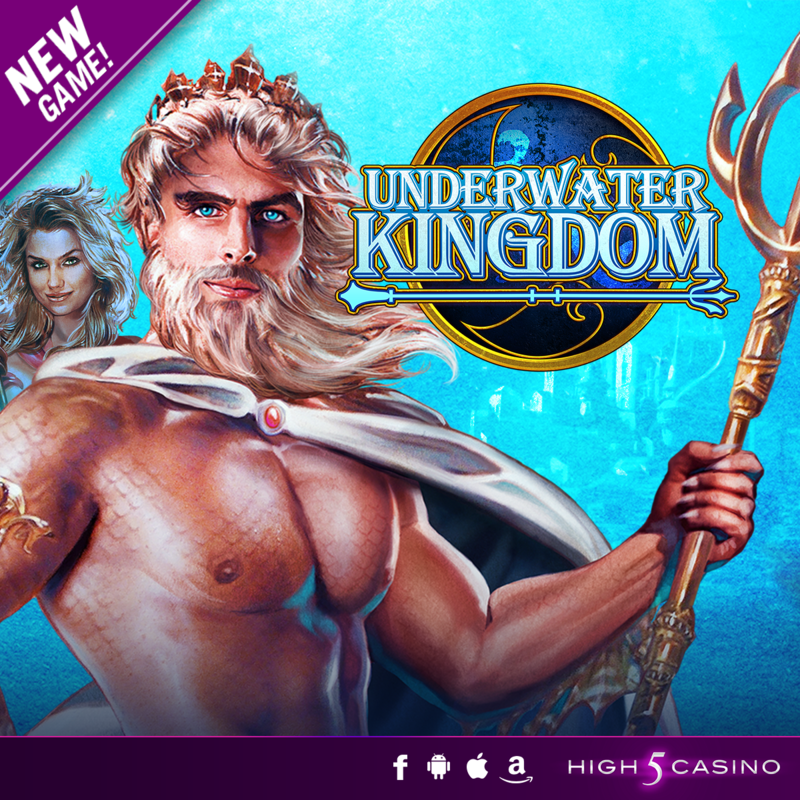 Dive into mystical underwater riches in Underwater Kingdom, High 5 Casino‘s 188th Game arriving soon! Explore the mystical deep blue sea and you’re bound to find hidden treasures. Magical clams and exotic fish surround you as you swim into big wins. This underwater adventure leaves you treading for more. Dive and discover magical riches in the Underwater Kingdom! 4 by 5 reels. 40 paylines. Split Symbols, Super Stacks, and Free Games. Check the YouTube video below and get ready to explore the deep blue sea in Underwater Kingdom on your High 5 Casino Reels! Are you ready to jump into this underwater adventure? Comment in the conversation bubble located on the top right corner of your screen and let us know! 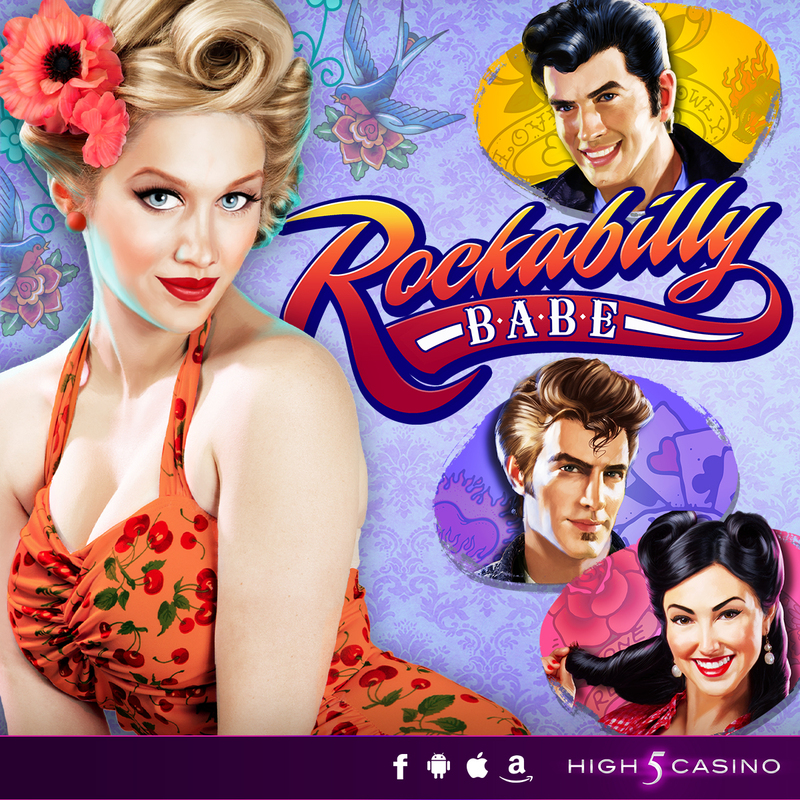 Get ready to jive to the rhythm of some rock ‘n’ roll in Rockabilly Babe High 5 Casino’s next release our 178th game arrives soon! Kick up the bass and let’s jive to the rhythm of some rock ‘n’ roll! 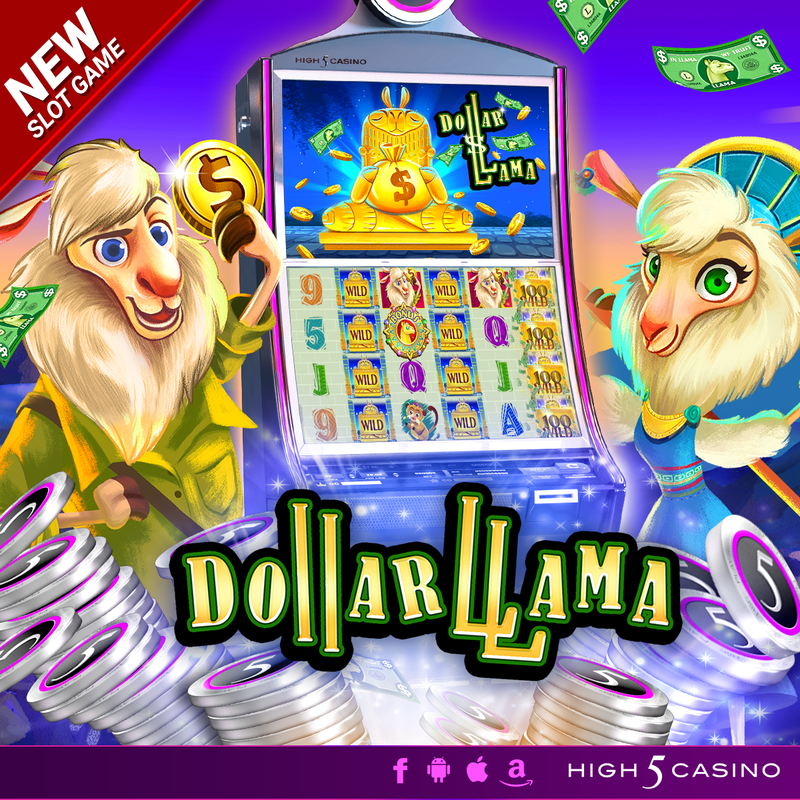 Have a blast moving and grooving as you dance to the sound of big wins landing on the reels. In Rockabilly Babe, you can’t help but to have a good time! Rockabilly Babe. 3-4-4-4-3 reel matrix. 576 ways to win. Bonus Select. Check the YouTube video below and get ready to Rock ‘n’ Roll on your High 5 Casino reels. Check the YouTube video below and get ready to set sail on your High 5 Casino reels. 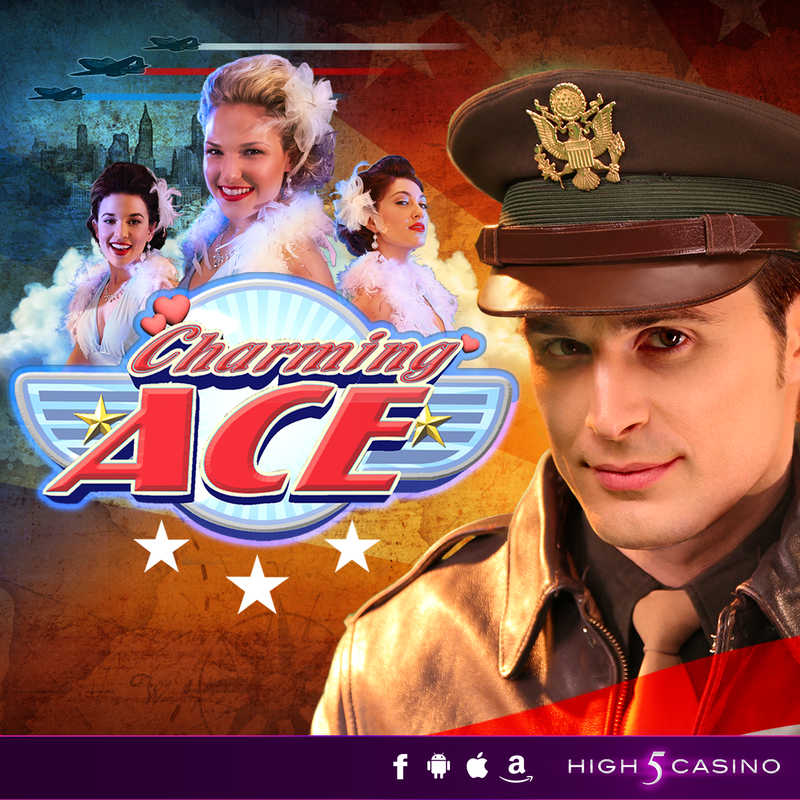 Prepare to join forces with a man on a mission in High 5 Casino’s upcoming release – Charming Ace! Who wouldn’t fall for a devilishly handsome, highly decorated fighter pilot? Alas, Captain Billy Meyer has no time for love. There’s work to be done and riches to be won. The war is far from over and this man is on a mission. Are you in? What do you think of this game? Make sure to comment in the conversation bubble located on the top right of this blog post and let us know. 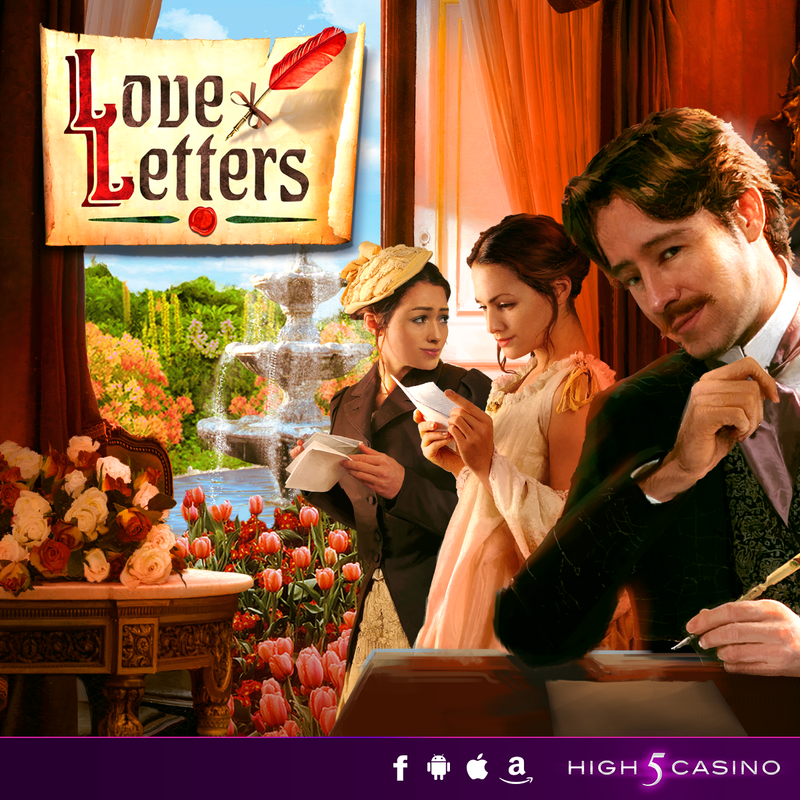 Jackpot wins are sealed with a kiss in Love Letters, debuting soon to High 5 Casino! 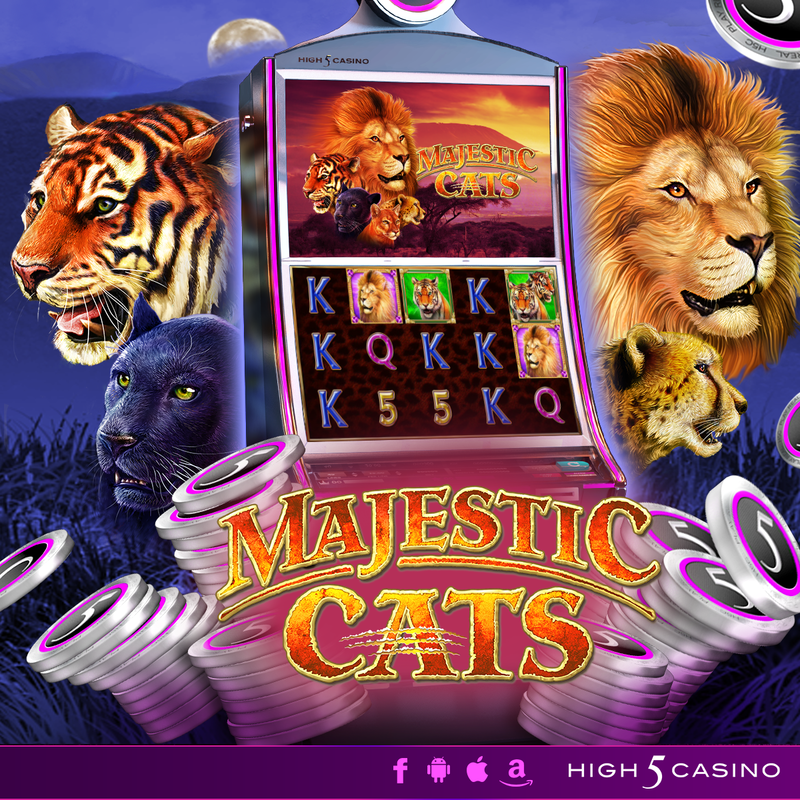 This 161st premium H5C slot features 1024 ways to win that makes you fall head over heels, and better yet, you can win up to 80 additional spins during the Free Games Bonus. You’ve waited with bated breath for the arrival of a message from a certain someone. As you hold it in your hands and prepare to open it, your heart skips a beat in anticipation. Nothing in the world can describe the feeling you get while reading your lover’s words. Written for you and sealed with a kiss. What do you think of Love Letters? Comment in the conversation bubble located on the top right of the blog and let us know!